If your goal for 2019 is learning to cook, or simply cooking more from scratch, then a spice subscription with the Spice Pioneer is the perfect place to start. The first things we noticed when opening the Phang Nga, Thailand spice kit were the powerful and aromatic smells, bursting through the pots of sumptuous spices including the Thai Seasoning Blend, Lemongrass, Whole Birds Eye Chillies, Thai Holy Basil, Seven Seas Spice, Tamarind Paste, Kaffir Lime Powder and Sea Salt. The spices arrived perfectly measured in small pots – making it easier than ever to know how much to use! 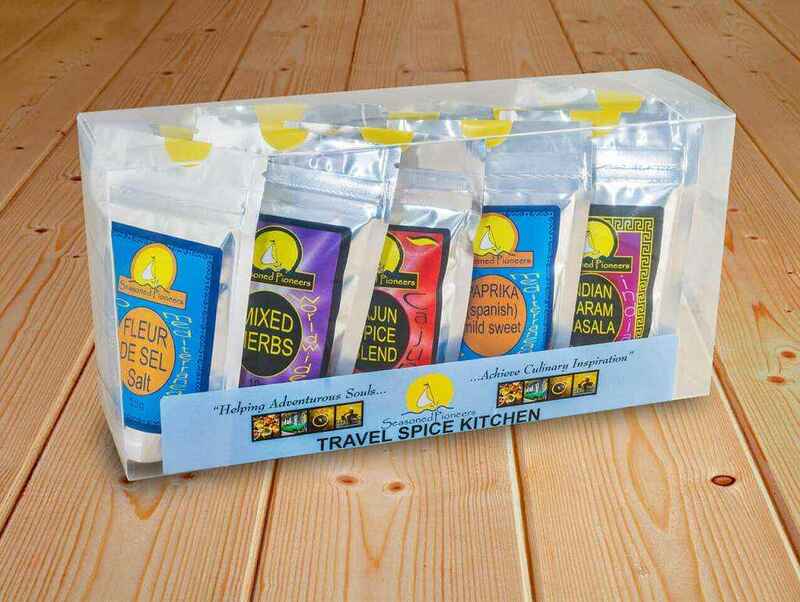 This spice kit from the Spice Pioneer, which comes in a perfect letterbox-sized cardboard box, guides you through the process of cooking a complete 3-course meal starting with a Coconut Lentil Soup with Pak Choi, Butternut Squash and a Chicken Salad with Sesame Dressing, and Prawn Penang and Sticky Rice. We would never have attempted making this delicious food from scratch if it wasn’t for the Spice Pioneer. Immediately catching our eye was the vibrant postcard written by the Spice Pioneer himself, telling us about his most recent adventures in Thailand. We read enviously and wide-eyed about his explorations through Asia, wanting to immediately drop our pans and join him on his travels! However, we had the tempting task of cooking up his latest mouth-watering recipe, inspired by the food he is eating abroad. We felt immediately fuelled and inspired to put our cooking skills to the test to produce his authentic Thai cuisine. Each spice kit also comes with a handy shopping list for the additional ingredients needed that you can easily buy at your local supermarket, as well as useful information that teaches you about the wonderful spice combinations. The step-by-step guide is easy to follow and fun to do with friends or family. The instructions guide you through every step of making the three dishes at once. Before you know it, you’ll have created a selection of delectable, authentic dishes that fill the kitchen with a tantalising aroma guaranteed to get your taste buds tingling! Whilst you cook there’s the option to listen to a specially curated music playlist which is tailored to the region of the kit, allowing you to truly capture the essence of the culture. With the kitchen heating up and the cooking in full flow, it was time to rehydrate with a crisp, refreshing Gin & Tonic – and there’s nothing quite like a Spice Pioneer garnished G&T to help! The Spice Pioneer Gin & Tonic Garnish Box is the perfect way to transform your regular beverage into a one-of-a-kind drink. The G&T garnish box contains a tempting selection of spices and botanical ingredients guaranteed to take your simple Gin & Tonic tipple to the next level. The G&T garnish box includes Rose Petals, Lavender Flowers, Green Cardamom Pods, Pink Peppercorns, Juniper Berries, Star Anise, Saffron Threads and Rosemary, along with a drink pairing guide to offer inspiration when creating your ideal cocktail or G&T. With the final dishes complete, we were very impressed at how authentic and delicious each one looked and tasted! They were certainly something to be proud of! The Phang Nga spice kit is described as ‘a fragrant, spicy meal for 4 people’ and we found it was exactly that. The dishes were flavoursome with just the right amount of spice in each one– and if a kick of heat is what you look for in your dish, then there is even the option to add more to your meal! The result of the spice kit was a hearty 3-course meal, which was ideal for serving at least four people. The Spice Pioneer is setting new trends. Just the thing to cook for your friends. Amazing flavours that pay dividends. What a brilliant way of making amends. So many to choose from the list never ends. Enjoyment for all just as nature intends. Mind blowing flavours becoming legends. And Ras-el-hanout…it’s ever so nice! We are thrilled to announce the launch of our brand new and exciting spice box subscription service – The Spice Pioneer! This is a unique concept developed exclusively by Seasoned Pioneers. When you subscribe you will accompany the Spice Pioneer on his international culinary adventures from the comfort of your own home. Once you have signed up, you will receive a monthly delivery (that fits through your letterbox) containing all the elements to create an extraordinary culinary event at home. Each box reflects the current location of The Spice Pioneer and his whereabouts are always a surprise! All you then need to do to host your fabulous evening for four is to shop for the fresh ingredients from the shopping list within the box. With the fresh ingredients to hand, follow the clear and easy instructions from the recipe cards using the spices and seasonings contained within the box. You can set the scene from the Spice Pioneer’s entertaining and descriptive postcard and create ambience by playing the music from his carefully compiled play list of local tunes! The Spice Pioneer is quite literally roaming the world, seeking out outstanding dishes and flavours. He personally develops the recipes that he acquires, putting his own twist on them to ensure the end results will be achievable in our British kitchens. He then seeks out the spices and seasonings needed to ensure completely authentic flavours in the finished dishes. He is an incredibly adventurous chap, who wholeheartedly embraces worldwide culture, so expect to receive spice boxes from some very special places spanning every continent. Joining The Spice Pioneer on his gastronomic exploits is extremely easy. You simply enter your details, set up your secure payment and wait for your first delivery! A subscription to the Spice Pioneer makes a wonderful gift for anyone who enjoys cooking and dining. To do so, just choose the buy as a gift option and we will send you a voucher and code to present to the recipient who then logs on and sets up their own delivery address in order to receive the boxes. 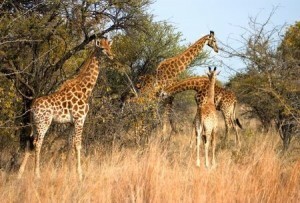 Bobotie – Karen’s favourite safari dish! I was first introduced to Bobotie whilst travelling around Zimbabwe in a converted truck in the early 1990s. Led by a South African guide called Louisa, we jolted along bumpy and dusty roads, stealthily hiked through the bush hoping to spot wildlife, then set up camp outdoors each night. Always as darkness fell, we excitedly but apprehensively listened to mysterious sounds whilst viewing an inconceivably dense display of stars. One such evening Louisa promised to showcase her national dish of Bobotie, which for me ended up being the most memorable meal of the entire trip. This was not only due to the delicious warmly spiced and fruity flavours of the dish, but also because of the unconventional way it was prepared. To my astonishment Louisa prepared this meal for all twelve of us on a roaring campfire in the middle of the bush with an armed guard standing by to ward off any inquisitive wildlife. In a huge cast iron pot she slowly simmered the mixture of meat, spices and dried fruits. Aromatic hunger-inducing smells wafted through the camp as we waited in anticipation whilst enjoying the local Zambezi beer. Once the meat mixture was cooked Louisa placed the iron lid of the pot directly onto the fire and when it was piping hot she poured an egg mixture over the meat and covered the pot with the hot lid. The heat from the lid cooked the savoury egg custard from above giving the dish its characteristic and traditional topping. As is often the case with a national dish, there are innumerable variations of the recipe. However, we hope you will be tempted to try ours, where we have used our sultry South African curry powder to infuse the flavours that I remember! 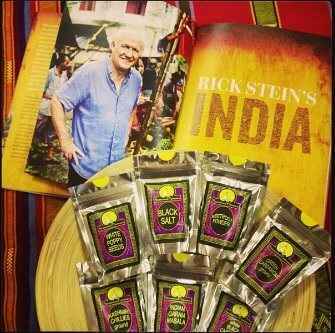 We have been honoured with a mention in Rick Stein’s new book ‘India’ as one of his recommended spice suppliers. Accompanying his book is the current television series of the same name, which has had us mesmerised with the delectable food that he has discovered and the beauty of the people and the places that he has encountered. The book itself is exquisite, brimming with wonderful recipes with an explanation of how Rick discovered each particular dish. Throughout the book, which is ablaze with colour, stunning photography transports you into the heart of India and it’s culture. It’s summer holiday time and there is a great sense of excitement and anticipation in the air! Where have you chosen to spend your precious time away? Maybe you’ll stay on a narrow-boat cruising the serene canals and rivers, chugging along at a leisurely pace whilst watching kingfishers flash along the bank. Possibly you’ll be opening your caravan door in the morning and gazing across the beach at the rolling surf, with the sound of seagulls wheeling overhead? You may have booked a comfortably furnished self-catering stone cottage with rural views from every window and a pair of deckchairs in the garden. Others will be glamping or camping next to a sparkling freshwater lake surrounded by forest, listening to the nocturnal sounds of wildlife! However you are planning to relax, one of the most important components of a wonderful holiday is wonderful food. Being well planned and well prepared in advance of your trip will enable a speedier attainment of relaxation once you’ve reached your destination. Not having to seek out the shops as soon as you’ve arrived means you can take it easy and instantly enjoy your surroundings. With this in mind, we have put together a new collection of herbs, spices, seasonings and spice blends, aptly named the Travel Spice Kitchen. We hope that by popping this convenient, easy to carry pack into your luggage, you will have the ability to create fabulous meals with the minimum of effort and time! This collection opens up a profusion of culinary options when on holiday. Use to conjure up tasty stir-fries, curries, chilli con carne, barbecue rubs, stews, goulashes, rice dishes, omelettes, pasta sauces and much more. 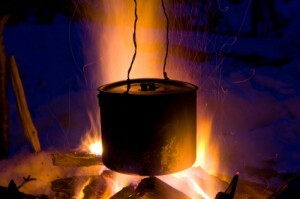 All of those dishes can be created whether you are cooking on a camp-fire, a two ring hob or a full range cooker! The ideas don’t stop there – when you don’t want a hot meal, you can use the Indian Garam Masala to make a delicious Coronation chicken, sprinkle oregano over a salad of sliced tomatoes and olive oil, stir chilli powder through crème fraiche for a dip with crudités or mix prawns with mayonnaise flavoured with paprika……the limit is your imagination! Dukkah is a delicious combination of Middle Eastern spices and flavours: Hazelnuts or chickpeas as a base, along with pepper, coriander, cumin and sesame seeds. Dukkah has a long tradition in the Middle East and has been enjoyed by many of it’s cultures. After a tiring day travelling with camels, Arabs would gather around a small fire roasting spices, nuts and seeds, and finally crushing them into a coarse powder. They would then take hunks of bread, dipping them first into olive oil, and then into the Dukkah to satisfy their hunger. Today Dukkah may be enjoyed from Egyptian street vendors. A smallpaper cone is filled with Dukkah and given to the customer along with strips of pita bread, which are dipped into the vendors bowl of olive oil and then into the Dukkah in the traditional way. Each vendor has a unique Dukkah recipe and is fiercely proud of his combination of traditional and regional flavours. Of course Dukkah need not only be enjoyed in the traditional way. It is a very versatile seasoning and works equally as well sprinkled on salads or vegetables, mixed with honey as a sweet sandwich spread, as a crust for roasted chicken, lamb, or fish, or even mixed into bread dough before baking.